The oil industry is set to see cash flow and profits balloon this year as oil prices rise. The U.S. shale industry is widely expected to become cash flow positive for the first time. For years, even when oil prices were high prior to the 2014 meltdown, shale companies took on debt and issued new equity to finance expensive drilling campaigns. They were growing so quickly, and the revenue generated from a given well often didn’t cover the costs, and in any event, the money was plowed back into the ground to drill another well. Shale E&Ps, by and large, were not profitable. But investors stuck with them on the promise that production would continue to increase, costs would eventually come under control, and the profits would finally begin to emerge. It has taken a lot longer than expected. The bust in oil prices hurt the prospects of turning a profit, particularly for high costs producers, many of whom were ultimately forced out of business. Still, breakeven prices declined. Now, with oil prices essentially twice as high as they were two years ago, things are looking much better. WTI is nearing $70 per barrel, significantly higher than the $50 to $60 per barrel breakeven price required for many shale companies. In the fourth quarter of 2017, the top shale producers essentially broke even on their drilling, according to Wood Mackenzie. But that covered a period of time when WTI was much lower than it is today. As such, a lot of shale drillers could be cash flow positive this year. The improved outlook has finally led to gains for the share prices of a lot of shale companies. Pioneer Natural Resources has seen its stock jump by more than 18 percent since the beginning of April. EOG Resources is up 15 percent, Devon Energy is up 12 percent and Anadarko Petroleum has gained more than 15 percent. Higher oil prices pose challenges to OPEC, but for U.S. shale, the gains are nothing but good news. Meanwhile, the oil majors are also expected to post the best financials in years. In fact, the largest integrated oil companies are now earning more with oil at $65 per barrel than they were when oil traded north of $100. The earnings for the majors in 2018 is expected to be the highest in more than a decade. The majors, unlike their smaller shale brethren, have not seen the benefit to their share prices from the improved bottom line. Analysts attribute the relatively poor performance to growing skepticism from Wall Street. Short-term fears of oversupply are holding back some investors, while long-term concerns about an existential threat to the business model of Big Oil from electric vehicles and renewable energy are also casting a shadow over their valuations. But while Wall Street is a little wary of the oil majors, some investment banks are hyping Big Oil stocks. Goldman Sachs says there are four main reasons to like the oil majors, at least in the short run: new projects coming online will add production, refining margins are solid, capex is low and sustainable and commodity prices are on the upswing. Goldman recommended ConocoPhillips, Chevron, Canadian Natural Resources and Suncor Energy, but says its top idea for the quarter for investors is to buy ConocoPhillips. 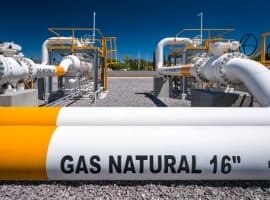 As for shale companies, Goldman recommended Occidental Petroleum and Pioneer Natural Resources, both of whom are set to add production this quarter, while both are “well insulated” from the emerging bottlenecks in the Permian basin. In short, higher oil prices are a balm, improving the outlooks for small and medium-sized shale companies as well as the oil majors. OPEC will need to grapple with the risks of driving oil prices too high, but for everyone else, higher prices will be met with relief.